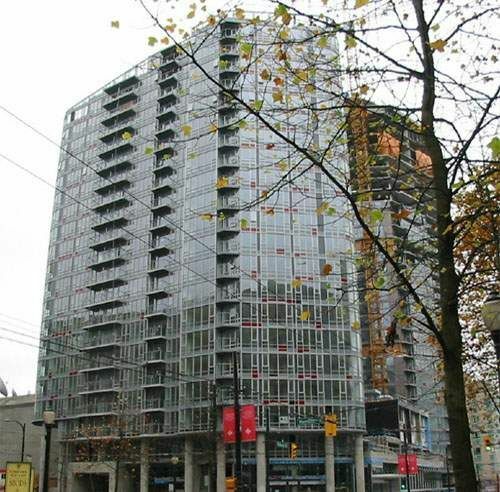 788 Hamilton Street & 233 Robson Street, V6B 0E9(BCS3407). Located Downtown at the center of the Sports & Entertainment district at the corner of Robson & Cambie st.
TV Towers is in the middle of Vancouver's lively downtown core, on Robson, at the edge of Yaletown. Up the street from the Art Gallery, and a few blocks from BC Place and GM Place. Residents of TV Towers enjoy exclusive membership to The Network Health Club, which has all the amenities you want: yoga/pilates studio, fitness room, steam room and sauna. Meet with friends in the games room or challenge them to a game of pool, air hockey or foosball. Catch a show in the theatre or watch the big game in the Sports Lounge.